Tyler Voss grew up wishing he’d had the opportunity to screen the short films he had produced or worked on before college. Now, with the creation of the Mission Viejo Film Festival, he’s giving that chance to younger generations. We talk with Tyler about his early producing days, how his brother Grant was the catalyst for Mission Viejo’s first ever short film festival, and how film festival culture is growing in Orange County, California. Miniflix Interviewer: Do you think that most people growing up in Orange County, or making films in Orange County, feel like a career in film is attainable, or does LA still feel like a world away? Tyler Voss: I think people from Orange County view it as not far away. I think it’s the LA people that think Orange County’s far away. But I mean, the films that come from these Orange County film students, and filmmakers, they are just as good — if not better — than the ones that are from LA. I mean, you get film programs like Chapman and community colleges doing programs there. They sink a bunch of money into these programs because they know the impact film has. Since the distance is only like an hour away, the Orange County people will go up there. 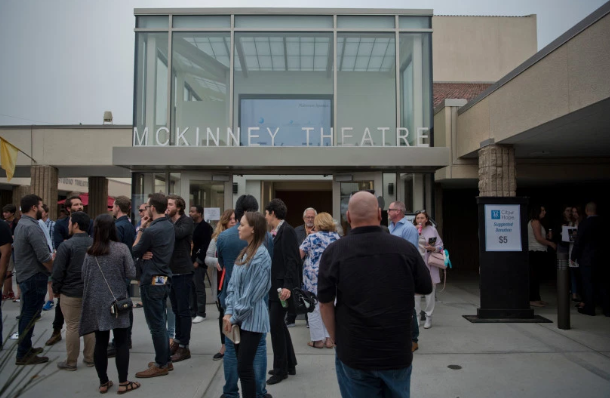 But as far as the Mission Viejo Film Festival, I wanted an outlet through those Orange County film students, so they don’t have to go all the way to LA. It’s just a closer film festival for them to showcase their work. Miniflix: When did you start taking on producing roles at film school & what part of producing did you most gravitate towards? Tyler: First time I produced anything was a Christmas special — an hour and a half movie. I produced it with my family, wrote the script. It was different sketches of Christmas stories that my parents had to painfully watch. But the first real success I had with producing was my cousins [Blake and Kyle Jennings]. We did a video on YouTube. It was just around the time Call of Duty: Modern Warfare was coming out. So we had this idea of using Nerf guns but treating them like actual guns in combat. Together, we developed this story of a military unit that uses Nerf guns — some obvious humor thrown in. It turned out that the video would get over 3 million views. So I produced that, got everything together for it. It was the first time that I really felt like I could do this thing, producing. 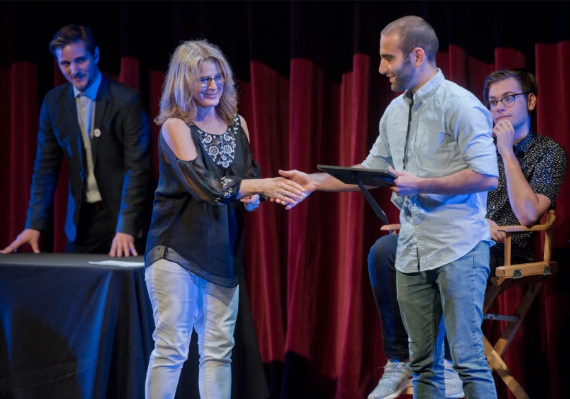 M: When did you first get the idea for the Mission Viejo Film Festival (MVFF)? And how did your brother, Grant, fit into the larger picture? T: What first inspired that was the 2014 Biola [University] Film Festival that I produced, because I enjoyed producing that so much. At the time, my very ambitious brother was running for Mission Viejo city council. While he was doing that, he didn’t ultimately win, but one of the guys who did win saw potential in him and appointed him the Commissioner of Parks and Recreation. I saw that appointment as an opportunity. So I asked Grant, “Hey, what if Mission Viejo had a film festival as a city event?” And Grant liked that idea because he was also at the Biola Film Festival that year and saw what I did with it. So he went to the Parks and Recreation department and the director, Mark Nix, really liked the idea. That really got the ball rolling. In a more general sense, I thought it’d be cool for Orange County film students like at Saddleback, OCC, Chapman, and high school students, to have their film up on the big screen. I’d always thought how cool that would have been if I’d had that opportunity growing up. The film festival is also in large part indebted to my uncle, Mark Jennings, who passed away due to cancer. That’s why for all three years, all proceeds from the film festival go to the City of Hope. The overall best film each year is awarded the Mark Jennings Award in honor of his legacy and impact on my life. M: You and your brother have called MVFF a “filmmaker’s film festival”. What did you mean by that? T: By that I meant that we cater to the filmmaker. They are of the utmost importance to us. Every filmmaker that we have there, we treat like A-list talent. We want their film to be shown exactly how they want it to be shown. We make sure their posters are all over the theater. We give them Q and A sessions and VIP lounge access. Being a “filmmaker’s film festival” to us means making sure our filmmakers are the first priority. M: Did you meet any resistance when trying to get this off the ground? If so, how? T: Well, I mean, the city loved us. They were all for it and really helping us out. I think the main resistance was just Grant and I trying to get everything together. The first year was the toughest. The first year venue was a run-down building and a run-down room. I had to go to Home Depot to paint a white screen for the projector to project onto. We had no electricity in the room, so we had to plug in from an outside site. We were really nervous, just hoping everything would go alright. But, somehow, that first year, we got a lot of people there. We filled the seats. That first year venue was the real resistance. Just learning to work with what we had. M: Was there an ideal type of short film you had in mind that you were hoping to screen at MVFF? T: I wanted there to be a little bit of everything. We’ve adapted year by year, because some things worked and some things didn’t. What we really wanted was a film that could showcase exactly what our film festival was about, in terms of donating all the proceeds to City of Hope. We wanted a film where a character goes through something like cancer, and ultimately persevere. And in our second year, we got that film. It was about a little girl diagnosed with cancer, and she would dream about fighting something that represented cancer. The final dream, she was a viking and cancer was this dragon, and she fought off the dragon and became cured of cancer. That was the kind of film to be at our film festival. Otherwise, we just want really good films. We didn’t care about the genre, as long as it was a good quality film that clearly had good production value. 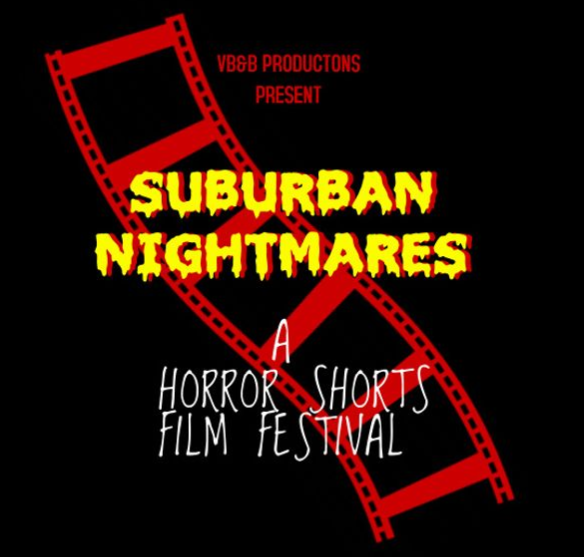 M: You now have a 2nd Mission Viejo-based film festival [Suburban Nightmares Horror Short Festival] happening this month (October 20th). What inspired you to start this program? T: The guy who helped us out during the third year of MVFF, Devin Bunch, had asked us to start a horror shorts festival this year for him. He really wanted to run it. Since we had the opportunity to do that for him, we went ahead and made it happen. Those proceeds will also be going to City of Hope. We’re actually holding the festival at a mortuary. T: Yeah, Grant pulled his strings for us. Because of the great venue, we’re also having an interactive experience. Actors will be portraying morticians, so they’ll be walking around and pulling tickets for people and interacting with the guests. That’s gonna be really fun. M: In what ways do you think the MVFF has best helped out short filmmakers? Besides just having their movies on the big screen, have there been chances for short filmmakers to make special connections, network, or otherwise impact their own exposure to the larger filmmaking community? T: Some of the biggest impacts I’ve seen has come with the exposure. But, because we cater to high school and college film students, I see our festival as a way of teaching them what it will be like to do festivals as part of their actual career. We do the full Q and A interview process. You can make a great film, but something that’s often missing is how to market themselves and their films in this world that we live in. You’ve gotta be able to talk about your film. But definitely exposure as well. Seeing their film on the big screen and getting the award is a great way to give out that recognition. M: What has been one of your favorite short films to premiere at MVFF from the past 3 years? T: Teddy Bears Are For Lovers, produced by Matt Hawksworth. That’s just an incredible film. We’re actually showing it again at the Suburban Horror Shorts Festival. Also, Adventures Of Lucy, the cancer film. So amazing. This year, a Chapman film student did a World War II period piece…and they shot it in Orange but the production design really convinced me it took place in actual Germany. It was well-acted. The direction was brilliant. The actors even spoke in German. I was really impressed by that one. But, honestly, all the films that were in the festival were definitely the top of what was submitted….to a degree, I have to saw that all the films have been fantastic and leave me with something to remember them by.